Reduce stomach bloating the healthy way, without toxic fasts or cleanses… Fix the true causes of belly bloat and you’ll be healthier as well as trimmer. 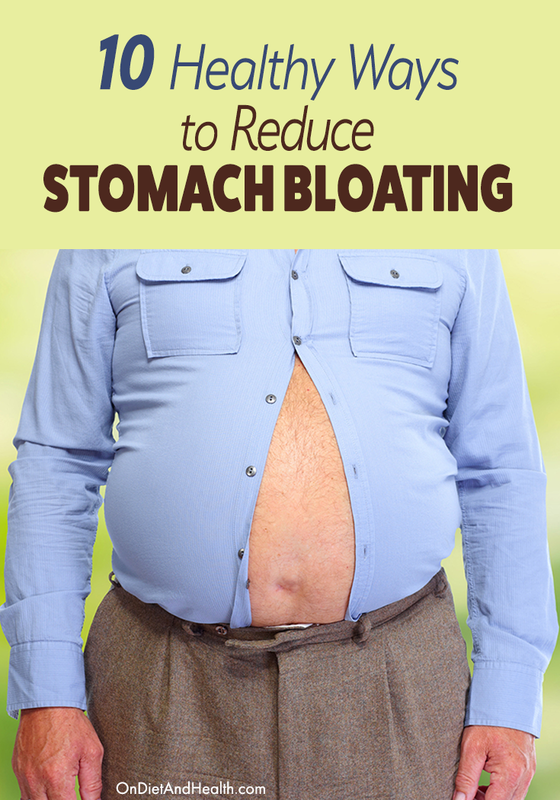 Stomach bloat is generally caused by food fermenting in the intestines (not a good thing). 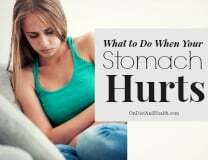 Eliminating certain hard to digest foods can work wonders for a swollen abdomen. (See TIPS # 1 – 3). Then let’s look at infection, the thyroid, gall bladder, PMS and more. The hardest food to digest is usually lactose (sugar) in milk, yogurt, cottage cheese, cream cheese and soft cheese such as Feta and Mozzarella. Lactase enzyme deficiency affects more than 75% of people worldwide, from 5% in northern Europe to 90% in some Asian and African countries. Hispanics tend to be highly lactose intolerant. Try a dairy-free challenge without one bite of butter, yogurt or any other dairy for 2 to 6 weeks. Notice how much better your tummy feels and how your bowels improve. Then eat a bowl of yogurt or a big serving of milk or ice cream and see what happens…. Some people can handle butter and hard cheese just fine. Few can handle milk and yogurt. I only tolerate ghee – the pure butterfat oil known as clarified butter. TIP: Eliminate dairy except for ghee, butter, heavy cream and harder cheeses. You’ll feel the effects of this immediately. Some do better with no dairy except ghee. Poor digestion of carbohydrates is a common cause of excess gas and bloating. Beans are hard to digest but so are other Complex Carbs such as grains and tubers. Complex Carbohydrates have a different structure than the simpler carbs found in fruits and most vegetables. Think of these complex structures as interlocking rings, like intertwined sets of Olympic rings. 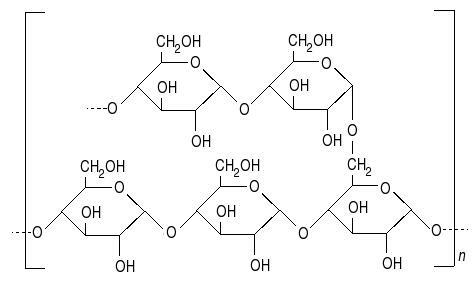 Our enzymes are great at simple carbohydrate chains, but the digestion of complex rings often leaves fermentable fragments behind. These irritate the gut, cause gas, and are a key factor in Leaky Gut. Learn the Paleo Diet with my DVD/video “The Diet For Human Beings” to eat without starchy grains and dairy and feast on foods we’re more suited to. The third food group causing bloating in certain people is the FODMAP’s: Fermentable Oligosaccharides, Disaccharides, Monosaccharides and Polyols. FODMAP’s are shorter chain sugars found in certain fruits, vegetables, dairy and grains. Those with IBS (Irritable Bowel Syndrome) can be particularly sensitive to them. These sugar carbs can be poorly absorbed in the small intestine and can produce gas and attract water when they reach the large intestine. 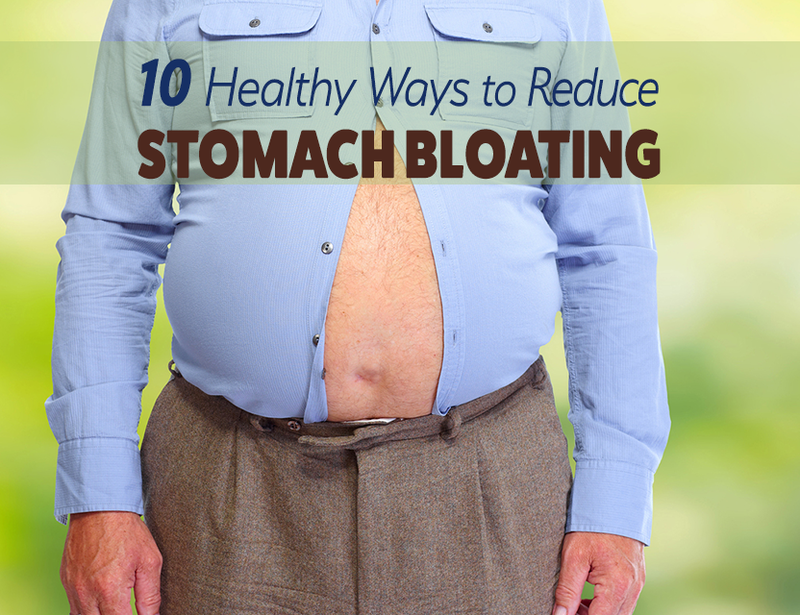 The combo of gas plus water means plenty of “stomach bloat”. Garlic and onions can be particularly bad – try eliminating them for a while. Here’s a list of other FODMAP foods. The Specific Carbohydrate Diet is extremely helpful as well but DON’T eat the yogurt they suggest. Here’s one of my Primal Diet – Modern Health podcasts on the SCD. A major cause of bloated stomach and gut is constipation. Bowels should move once or twice daily with formed stools soft enough to pass easily. Loose stools are not correct either. Getting off dairy and grains will often fix this issue, as will getting enough leafy greens and other vegetables. I recommend 6 to 8 cups of cooked veggies daily, including 1 to 2 cups cooked kale or collards. If you need short term help moving the colon while fixing your diet, this C-Colon from Systemic Formulas in my online store works great. Don’t use harsh laxatives or purges. They inflame the colon and contribute to Leaky Gut. Note: see the next tip on the thyroid. Here’s some great suggestions for nourishing low-carb smoothies. They’re grain-free, full of veggies and have very little fruit. You can eat these for a few days and let your colon reset. Don’t forget to eat protein with them. My favorite is meatballs on the side. The thyroid sets the metabolic rate for many body functions including how fast your hair grows, how quickly food moves through your system, your heart rate, and the rate at which the liver works. If you suspect a thyroid issue, make sure you run the correct lab tests (read here) and work first with herbal helpers such as this amazing Gf – Thyroid from Systemic Formulas. 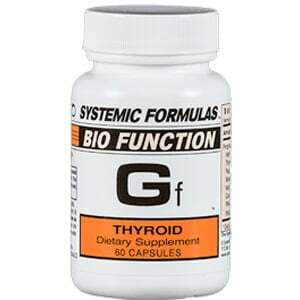 This product is decades old and is still the top thyroid formula in my clinic. Do NOT take it you’re on prescription thyroid. Boost your metabolic rate without caffeine or herbal stimulants and see if your digestion and bowels improve to beat belly bloat. Yeast or Bacterial infections can cause pain, bloating and other digestive symptoms. If you have a history of over-eating sweets, having yeast infections, or have taken multiple rounds of antibiotics, you have imbalanced the flora in your gut. Left unprotected by beneficial bacteria, yeast and pathogenic bacteria can flourish. If you’re following the other tips and still feeling bloating or pain, ask a naturopathic doctor to test you for Candida and SIBO (Small Intestine Bacterial Overgrowth). There are many herbal alternative to treating these. First eliminate the pathogen using this wonderful product (no substitutes from other companies please) and/or #4 FungDX, then add great probiotics to restore the environment. I sell this probiotic online and also like this one (on Amazon or in my clinic). Living sauerkraut and other raw fermented foods supply good microbes too. If you need digestive enzymes, I like this one. It has multiple herbs and nutrients to heal the intestine too. Is it PMS? Many women have low progesterone at the very time it should be highest. This causes PMS symptoms including bloating and water weight. Progesterone is the body’s natural diuretic. You don’t need water pills! And switch from toxic cheap salt to good Himalayan salt. 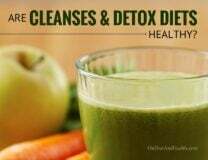 This will help balance the fluids in your body. If you want to diagnose hormonal PMS, do a saliva test. I offer Saliva Testing for Cortisol with an hour phone consult here. Or a 15 item test with Cortisol, male/female hormones, Insulin, Gliadin and more here. Includes 1 1/2 hour phone review. on Day 21 of your cycle. Check your cortisol, estrogen and progesterone. This product is extremely helpful when taken monthly for the last 14 days of every cycle. It will help your body produce progesterone and reduce estrogen dominance. Do your exercises to tone your belly. Planks, crunches, sit-ups, leg lifts, squats, deadlifts all help. Get a good trainer and get moving. And keep good posture all day – no slouching! Do you hold extra weight around your middle? 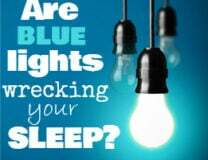 If so, you may have Metabolic Syndrome, also known as pre-diabetes. You can do all the other tips above, but you can’t flatten your belly if it’s overweight. Get on the Paleo Diet (my Diet For Human Beings), and watch your triglycerides and weight come steadily down. is your Gall Bladder working right? Bile emulsifies fat so we can digest it. You may or may not have gall stones (see my articles on Vitamin K2 for calcification problems in the body); you may have “lost” your gall bladder; or you may have biliary congestion or slow gall bladder emptying. If you have no gall bladder, take this or something like it with every meal – forever. Beta Plus also helps with sluggish gall bladder function and digestion. This Lb – Liver/Gall Bladder has beets to help clear the gall bladder. Try some gentle Liver Cleanses or Castor Oil packs. Ask your doctor to sonogram your abdomen.